Edge Contributor Tony Pinizzotto gave the book Danny Fitzgerald and Les Demi Dieux a positive review on the EdgeBoston website. Danny Fitzgerald & Les Demi Dieux are now on Facebook! “Like” us on Facebook to receive regular Facebook updates about publications and events. 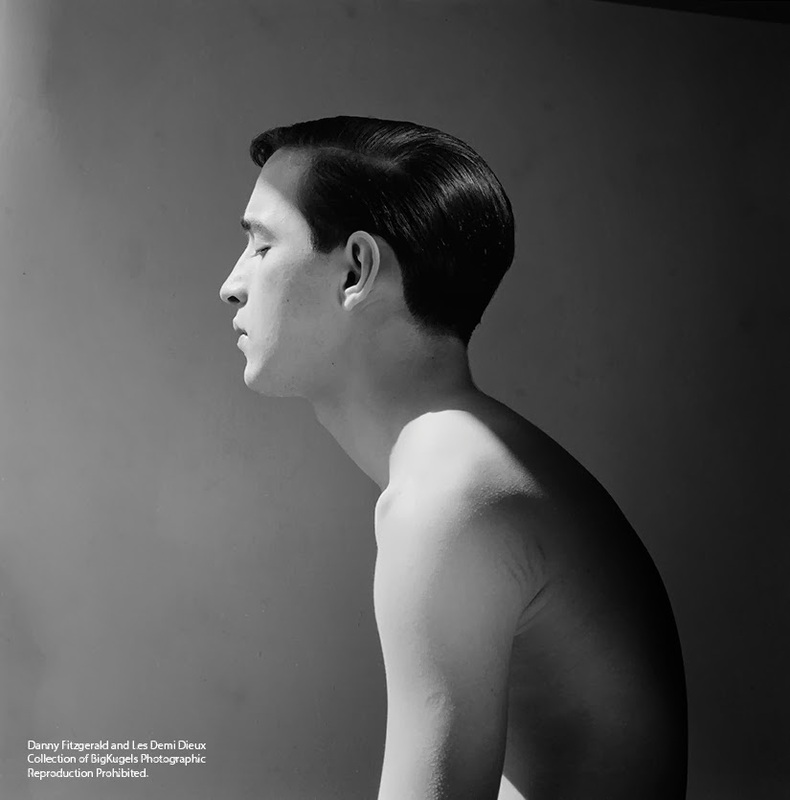 Richard Bennett was Danny Fitzgerald’s partner, both in business with their photography studio “Les Demi Dieux,” and in life for 40 years until Fitzgerald’s death in 2000. This photograph was taken during one of their many travels together, and appears in the book Brooklyn Boys: Danny Fitzgerald and Les Demi Dieux. This model was named Danny, and appears to have been a small fellow, with a long neck and square shoulders, vacillating from one frame to the next between tough, playful and gentle. He posed for Fitzgerald out on the street, on the basketball court, and in Fitzgerald’s home studio. Almost always shirtless in chinos. Almost always with a cigarette. The film roll is dated 1962. This image appears in the book Brooklyn Boys: Danny Fitzgerald and Les Demi Dieux. Stef was a beautiful, blond athlete, whose father accompanied son on all of Danny Fitzgerald’s photo sessions. Amazing images of Stef on the Brooklyn playgrounds and in the woods were very popular in the physique magazines of the early 1960s. As far as we know, Fitzgerald never printed this image. We found a short, four-frame strip of images of brothers Johnny and Vinny (second and fourth from left) smoking between two vintage cars with friends, on a street in Carroll Gardens, Brooklyn. The film roll was dated 1963.